Quickspin Gaming, a subsidiary firm of Microgaming has announced their latest video slot named “Second Strike”. This new title is available in both desktop and mobile platforms, allowing for punters to enjoy this slot at all moments during the day. Second Strike has been crafted with 5 reel, 10 paylines and a host of features. This slot takes on a classic approach, providing punters with a reminiscent experience. There are wilds, free spins and scatters available to be triggered as well. Quickspin is currently offered throughout twenty-five different casinos, this developer also has content deals through Relax Gaming which has allowed for Quickspin to expand their portfolio throughout different regions in the world. This’ll give punters an easier time at accessing all the slots that this subsidiary firm of Microgaming has to offer. It seems that Quickspin is working on a new title which’ll be released in January 2016. This new game is rumored to provide punters with a never before gambling experience. If that’s to be true is a whole other story though. None the less Second Strike can be played today, now! This entry was posted in Uncategorized on January 1, 2016 by adminz. A new rumor that could possibly be game changing to the online gambling market is floating around the web currently. 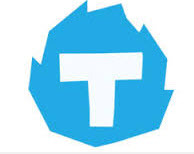 It appears that the Australian Business Journal is claiming that high-level sources have stated that a merging deal with Tabcorp and Tatts Group is inevitable and that’ll it happen far faster than people will expect. These deals have been floating around for the last two weeks, more high level sources throughout the industry continue to claim that indeed these rumors are true. If this deal was to become a reality then it would mean that a new gambling giant worth a total of $9.4 Australian dollars would now be operating in a whole new level. This companies have reportedly been in talked for the last six months. This merge would see Tabcorp purchase out the Tatts Group & take over its operations, no employee’s would be fired in the process from either company. There are other sources that are saying that this deal won’t become a reality, that there is no way either one of these gambling firms would want to merge with one another. Another high-level source from the Australian gambling industry stated that Tabcorp and Tatts ended their talks more than two months ago as neither companies were able to come to an agreement. Regardless of either one of these rumors, if they merge together then major changes could be coming to the Australian gambling industry. Rather these changes would be in the benefit or harm of punters has yet to come to light. This entry was posted in Uncategorized on November 23, 2015 by adminz. Sky Vegas is yet again getting another exclusive slot, it’s no wonder as to why this casino has been able to reach a level of popularity that only hundreds of other casinos wish for. This new slot is called “Star Crystals” and it’s been developed by the minds at Genesis Gaming. Star Crystal’s takes heavily from science fiction in its theme. The reels & background interact with one another simultaneously to make an unforgettable experience. The icons on the reels just seem to float in space. Aliens, various crystals, nebulas and game feature symbols all roam around the cold depths of space. Along with its visually stunning theme there is also free spins, multipliers, wilds, scatters and a pick em’ styled bonus round. This brand new Genesis Gaming slot is available for desktop and mobile use only at Sky Vegas. Those who want to gain more insight on what this slot has to offer before signing up with this online casino can do so by going to the Genesis Gaming YouTube channel. There a video preview of this new game awaits whomever wants to view it. Afterwards signing up with Sky Vegas only takes two minutes & than a world of exciting gambling awaits. The NYX OGS Gambling Platform will now be making its way to the Royal Panda online casino within the upcoming months. The reasoning for this is because Royal Panda & the NYX Gaming Group have signed a content supply deal, this information being revealed by NYX themselves. This deal will have hundreds of various games ported over to the Royal Panda library. These games will include hundreds of slots, roulette, scratch cards and blackjack. These games will go live later on this year with the rest of the games going live in January. NYX OGS is by far the most expansive gambling platform available to be used in the online gambling industry to date. The reasoning for this is because their platform consists of a variety of other software’s such as NetEnt & NextGen Gaming. 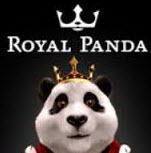 This means that whomever is registered with Royal Panda will now be able to access some of the most exclusive slots & casino games available on the web. It appears that this content supply deal was mutual, both companies earning something out of one another. Hundreds of casino games will now be available at players finger tips at Royal Panda Casino starting late 2015 – early 2016. This entry was posted in Uncategorized on September 26, 2015 by admin. LeoVegas, one of the more famous internet betting firms within the United Kingdom and European Union was pleased to report today that they’ve signed a content deal with Edict eGaming. This deal will have the full list of Edict games ported over to LeoVegas, unfortunately the release date is unknown as of right now. Edict eGaming is a German based software developer that has created a number of casino games that have because popular in the market. This is surprising as the developer has only created twelve slots to date but due to this developer being operated by well-known figures in the industry it’s allowed for them to excel at a fast rate. All twelve slots including Gold of Persia, Double Triple Chance and Extra 10 Liner will be available at LeoVegas soon. These slots are also designed in an HTML5 format which means they’ll be coming the LeoVegas’s mobile casino as well. Unfortunately therehas yet to be an official release date as to when these games will be making their way to LeoVegas. None the less those who wish to experience what this famous online casino has to offer can do so by signing up an account with them today. They offer a number of different platforms which will give punters a wide array of games to choose from. Edict eGaming and LeoVegas haven’t made any statements regarding them making this content deal. Any new information regarding this new partnership will be able to be found here. Net Entertainment is currently the leading software developer in the online gambling market and due to holding that title this developer releases a new slot on a monthly basis with each slot being better than the last. This month Net Entertainment’s latest video slot is “Sparks”, a vivid game with unlimited winning opportunity and visuals that’ll draw players further into this games experience. Sparks has been designed as a 5 reel, 20 payline video slot. This slot caters itself to the theme of light with various colors & formations of light acting as symbols along the reels. Impressive animations also appear along the reels as well while the background while change in color. Game feature wise this game offers players wilds, expanding wilds, a win one way mode and win both way mode as well. These features will enhance triggering large winning combinations & the maximum jackpot as well. Net Entertainment has released this game across all their platforms. What this means is that punters can choose to either play this game through their mobile devices such as an iPhone or Android tablet or they can access this slot through their desktop computers. Regardless a fun experience awaits, a preview of the game is available on YouTube as well through the Net Entertainment YouTube channel. Those wanting to try their hand at this slot must first have or register an account with a Net Entertainment based online/mobile casino. Net Ent unfortunately didn’t release a statement regarding the release of Sparks but game play seems to be well received. A recommended casino to play Sparks is CasinoSaga, join today and get up to 250 free spins! There is a Dutch supplier that has been encouraging illegal gambling on the poker circuit. This came to light after one unfortunate poker player was found cheating at an event to gain a high seat for the World Series of Poker Tournament. This player was able to do it through a unique method that almost had him not caught of his actions. The supplier known for selling these cheating devices is known as “Gamble Romania”. They’ve been reportedly selling an array of different poker cards that resemble poker cards from various different casinos from around the world & the World Series of Poker. These cards aren’t just sold as a standalone product, they also come with contact lenses and an invisible earpiece which allows for you to look at other players cards with an unknown technology & allows for players to tune into the television broadcast in order to hear the hosts speak about the other player’s opportunities. This is a highly illegal task that this company is taking on that’ll more than likely have other governments from around the world request that Romania arrest & have this company deceit of selling this product. A spokesman for the company has stated that they are able to modify can deck of cards so that players may have the advantage of winning when at the casino. As of this point in time there is no word if this company will see their day in court. It seems that they’ll be able to continue operating as Romania hasn’t made any indication of stopping them from distributing this product. Full Bloom is the latest video slot to be released by WinADay Casino, this slot is proprietary based which means that it has been created directly by WinADay and offers their signature gambling experience at its core. This 5 reel, 15 payline video slot comes with a floral design showcasing vines along the paylines and flowers as icons on the reels. There is also various features to be triggered such as scatters, wilds and bonus rounds. The maximum bet of $6 is compelling, allowing for a bankroll to last for a longer period of time. Due to all of these aspects WinADay has already seen a high player activity percentage for their latest slot. The Casino Manager of WinADay made a short statement regarding as to why the betting selection is so low. Michael Hilary noted that there are plenty of gamblers who enjoy a higher betting selection, bigger maximum bets and larger payouts such as slots like “Gypsy Charm or Castle Siege”. In the statement he also noted that there are just as many players who have more fun wagering less and just enjoying the core experience of the slot. That’s the very reason as to why Full Bloom has been released to WinADay Casino. Those wishing to try their luck at Full Bloom will first have to register an account with WinADay Casino, providing a valid payment method in the process. This slot will forever be exclusive to WinADay, will inform you of the first big jackpot win to come from this slot. What would it be like to go onto the reality television show known as “Deal or No Deal”? 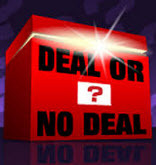 Well you no longer have to wonder what it would be like as Deal or No Deal has been available in the form of a video slot for years now. Recently a gifted player was able to conquer the progressive jackpot in this video slot where he was able to win $653,183. Winning the 20p Progressive means that this player wasn’t able to win the largest progressive available in this slot but none the less this is a life changing win. All we know as of right now is that this jackpot was won at JackpotJoy, one of the most popular casinos available in the United Kingdom. We also know that the winning player isn’t located in the U.K. but is located across sea’s in Northern America, he was just wagering with Euro’s. This means that this win will be nearly twice the amount than what it would of been if this player lived in the U.K. He will now be a millionaire off this progressive win. Unfortunately this player has opted out from revealing his name or making a statement regarding his thoughts after he won. Those wishing to take their hand at the 10p or 5p progressive on Deal or No Deal have the opportunity to do so by acquiring a player account with JackpotJoy. 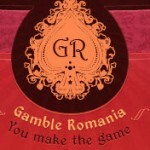 They offer an array of slots so you can be ensured that your gambling experience will never become repetitive or boring. 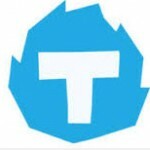 Thunderkick is a software developer in the online gambling market that has recently been making their way as a developer offering unique experiences un-before seen in the industry. Today Thunderkick teased their upcoming slot “Arcader”, a slot which takes players back to a time when everyone didn’t have a video console but instead went to the arcade to put quarters into the machine and hope to get the highest score. You will remember that moment in your life as this entire slot screams 80’s Arcade’s. You will see that the reels consist of various symbols all in Pixel form, the background has shooting stars zooming past the reels and the betting options are immersed by mountains. It makes for a powerful, exciting and enjoyable teaser. It makes you want to play this slot at this very moment. Arcader is a 5 reel, 15 payline video slot that offers a series of different features that allow for major wins for punters. Those features include wilds, win expanders, sticky wilds, win multipliers, a mystery bonus game and on top of all of that the win ratio for this slot is 96%. Players won’t have to wait long in order to play this slot as it is being released to every online casino which licensed the Thunderkick gambling platform. You will have to register an account with one of those casinos and wait until December 10th in order to play this slot. Casinos2Win.com is a leading authority on online slots and a excellent resource to locate online casinos offering ThunderKick Games.